Hawaiʻi is the world’s most-isolated, populated-place, we are about: 2,500-miles from the US mainland, Samoa & Alaska; 4,000-miles from Tokyo, New Zealand & Guam, and 5,000-miles from Australia, the Philippines & Korea. We are surrounded by a vast ocean and sometimes naively feel isolated, separated and protected from outside threats and negative impacts. Unfortunately, we take too much for granted. Formation of Hawaiian Island chain started more than 70 million years ago. Yet despite millions of years of isolation, plants, animals and insects found their way to Hawaiʻi … on Wind, Wings and Waves. Some seeds, spores and insects arrived on the wind. A few birds flew or were blown off course; in them or stuck to their feathers were more seeds. Some seeds managed to float here on ocean currents or waves. Ocean currents also carried larval forms of fish, invertebrates, algae and even our freshwater stream species. It is estimated that one plant or animal arrived and successfully colonized every 30,000 years. Over millions of years in isolation, these original plant and animal species changed, forming into our native species. The first alien species arrived with Polynesians in the year 300 A.D. or so. 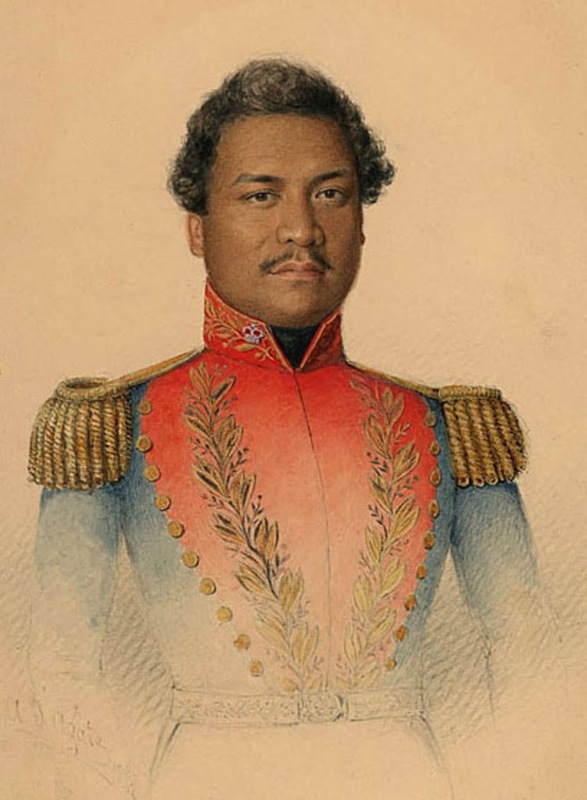 In 1778, Hawaiʻi was placed on the world map; and so started new invasive species pathways. It is estimated that in the last 230+ years, as many as 10,000 plants have been introduced: 343 new marine/brackish water species; Hawaiʻi went from 0 native land reptiles to 40; 0 amphibians to 6 (including coqui) and there is a new insect in Hawaiʻi every day. The greatest threat to Hawaiʻi’s native species is invasive species. Hawaiʻi has the dubious distinction of being called the endangered species capital of the world and unfortunately leads the nation in endangered species listings with 354 federally listed threatened or endangered listed species. With only 0.2% of the land area of the United States, nearly 75% of the nation’s historically documented plant and bird extinctions are from Hawaiʻi. We have more endangered species per square mile on these islands than any other place on Earth. Impacts from invasive species are real and diverse: Tourism and agriculture-based economy; Forests’ ability to channel rainwater into our watersheds; Survival of native species found nowhere else; Health of residents and visitors; and Quality of life that makes Hawaiʻi a special place. While I was at DLNR, we formed and I co-chaired the Hawai‘i Invasive Species Council, a multi-jurisdictional agency, established to provide policy level direction, coordination, and planning among state departments, federal agencies, and international and local initiatives. Our focus was primarily on two actions: the control and eradication of harmful invasive species infestations throughout the State; and prevention the introduction of other invasive species that may be potentially harmful. We must continue to be vigilant in stopping new pests from coming in and eradicating those that have already made it to our shores. We share a common goal. Whether your concern is in having enough water, healthy reefs, diverse forests, a healthy economy or a healthy family, we all want the same thing: To make and keep Hawaiʻi a great place to live. Is it just me, or can others see an eerie similarity between Lānaʻi and French Frigate Shoals? French Frigate Shoals is the first atoll to the northwest of the main Hawaiian Islands and is also the midpoint of the archipelago (about 490-miles WNW of Oʻahu) and the largest coral reef area in Hawai‘i. Pele continued down the archipelago until finally settling in Kīlauea, Hawai‘i Island, where she is said to reside today. “Shoal of the French Frigates” was rediscovered (and named by reference) on November 6, 1786 when two French frigates, the Astrolabe and the Boussole, narrowly averted running into the reef. French Frigate Shoals is the largest atoll in the chain, taking the form of an 18-mile long crescent. It is estimated to be 12.3 million years old. Tern Island (approximately 30-acres) in the atoll is the site of a Fish & Wildlife Service field station, which occupies a former U.S. Coast Guard Long-Range Aids to Navigation (LORAN) station that closed in 1979. Within the NWHI, French Frigate Shoals is the center of diversity for corals (more than 41 species, including the genus Acropora, which is all but absent elsewhere in Hawai‘i) and reef fishes (178 species). A relatively deep (80 to 100 feet) coral reef at this atoll has been recently discovered to function as a spawning site for Ulua (the giant trevally); a rare discovery of spawning sites for top predators. The lagoon is also unusual in that it contains two exposed volcanic pinnacles representing the last vestiges of the high island from which the atoll was derived, as well as nine low, sandy islets. The sand islets are small, shift position, and disappear and reappear. The largest pinnacle, La Perouse Pinnacle, is a rock outcrop in the center of the atoll; it’s reportedly the oldest and most remote volcanic rock in the Hawaiian chain. These islets provide important habitat for the world’s largest breeding colony of the endangered Hawaiian monk seal. The atoll’s sandy islets also provide nesting sites for 90 percent of the threatened green turtle population breeding in the Hawaiian Archipelago. On a tour around Tern Island we saw monk seals and turtles resting on the sandy shore, as well markings in the sand of a turtle who laid her eggs the night before. And lots of birds … mostly terns —> Tern Island. I’ve included some additional images of French Frigate Shoals (Kānemilohaʻi) in a folder of like name in the Photos section of my Facebook page. No plans this weekend? Problem solved. Lāna‘i Culture & Heritage Center Presents “Aloha Lāna‘i” a Benefit Fundraising Event on the Island of O‘ahu, Sunday, March 25th, 2012 – Saint Louis High School – Mamiya Theater. I was early and fortunately got my tickets early; but I understand due to an overwhelming response to the Aloha Lanai Benefit Concert, the event has been sold out. Not to fret – arrangements have been made for overflow seating in the Saint Louis Presidential Suite adjoining Mamiya Theater. Sunday, March 25, 2012 at Saint Louis Campus – Mamiya Theater; $30.00 at door. 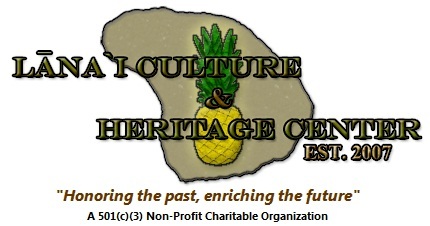 Outside at 4:00 pm – Strolling musicians; Voices of Lanai Oral History Program; Silent Auction Opportunities viewing and bidding; Food ; Sales of CDs from contributing musicians; Sales of Lanai Culture & Heritage Center Publications and a special “Aloha Lanai” t-shirt. In the Mamiya Theater at 6:00 pm – Welcome presentations/program background and call to support; Raffle Giveaway and Silent Auction; Music and Hula. Proceeds benefit heritage, preservation and cultural-historical education programs on Lāna‘i. How Much Land Do We Need To Be Food Self-Sufficient? Given the recent and on-going conversations on food “self-sufficiency” and “sustainability,” in trying to answer the above question, I first looked to existing State plans to see the estimates and computations noted there. To my surprise, there is no detail in the Hawaii 2050 Plan (the State’s most recent long-range planning document) that quantifies how much land is needed for food self-sufficiency. While it does use “happy words” (as I describe its text) generalizing that we need to do this or that; however, no roadmap to get there or measures of success are included. I then did an internet investigation into the matter to see if ‘rules of thumb’ or other standards could apply. The evidence is variable. As noted by the graphic used here, some suggest, at a self-subsistence level, a family of four can live off of approximately 2-acres of land. The 750K acres for 1.5M people conflicts with a report on feeding the people in the city of Detroit. In that report, Detroit’s 5.4-million people would require only 164,250-acres to feed everyone there, per year. Extrapolating that to Hawai‘i’s 1.5-million de facto population that means, under the Detroit analysis, Hawai‘i only needs about 45,625-acres of farmland to feed the State. Hmmm. Another study on Costa Rica “Quantifying Sustainable Development: The Future of Tropical Economies” suggests that it takes about 495,000-acres of land to feed 1.2- to 1.6-million people. Of course, all of these estimates do not include the significant dietary supplement we are able to use in Hawai‘i by harvesting seafood from the surrounding ocean. Nor does it include opportunities that concentrated farming offer, like aquaponics, hydroponics, intensive grazing, etc. So, while we talk about food “self-sufficiency” and “sustainability” what are we doing about it? Presently, the State designates about 1.9-million acres as “Agriculture.” The USDA reports Hawai‘i’s total farm acreage is 1.1-million acres of land. Given that, should we all feel comfortable there will be food for us in the future? I think it is about time we have a frank discussion about what our needs are and start to take the necessary steps to ultimately realize our goal of food self-sufficiency and sustainability. The world is changing in lots of ways – we cannot blindly go along with business as usual (with just happy words) in addressing this important and critical need.